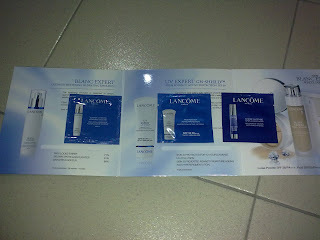 My freebies haul before the end of May 2010. 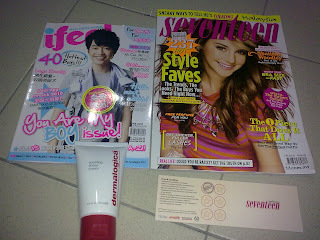 I bought ifeel June issue from Borders bookstore and received a free 70ml Dermalogica soothing shave cream. I also bought Seventeen magazines to collect stamp, they are having promotion now, buy the magazine from June to November and get a free 2ml Body Shop White Musk EDT. You will get a stamp on your card when you buy the magazine at the Borders bookstore.